Lightning doesn't strike twice for the Falcons as they took a competitive score set by Lancashire to the last over in their Friend Life t20 game at Old Trafford this evening, however they needed 21 from that last over, losing momentum at the backend of their innings. A defeat, despite a lovely knock of 48 from Wes Durston and 39 from an injured Shivnarine Chanderpaul and Mark Turner and Tim Groenewald taking seven wickets between them, Turner with his career best t20 figures of 4-35. Derbyshire's only two wins in the t20 competition last season had come against Lancashire and a win eleven days ago set the game up nicely for the Falcons. Derbyshire made one change to the side which lost at home to Nottinghamshire a week ago - Mark Footitt, who bowled well in the recent LV= County Championship Div 1 match at Durham, was rested for Mark Turner who played his first t20 match since June 2012. After a good opening over from Albie Morkel which went for a single, it was Tim Groenewald who made the breakthrough when he trapped the dangerous Tom Smith leg before without scoring. 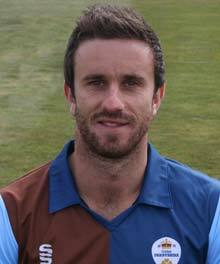 Derbyshire struck again in the fifth over when Karl Brown holed out to deep mid-wicket for 6 from the bowling of Turner. The Falcons were given a huge boost when Simon Katich was also caught on the deep mid-wicket boundary for 10 by Chesney Hughes, Lancashire were 34-3. This brought skipper for the night Steven Croft alongside Stephen Moore. Moore blasted David Wainwright out of the attack when he hit 23 off the former White Rose bowler including three sixes. 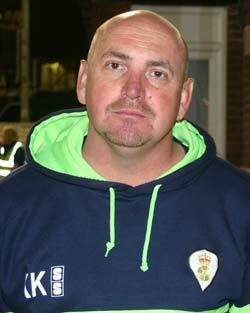 Croft received a lifeline when Tim Groenewald dropped a regulation catch at long off when Croft was on 16. The partnership was finally broken when Hughes caught a drive by Moore from the bowling of Dan Redfern for 74. Moore had hit five fours and five sixes in a partnership with Croft of 76. Wickets then fell at regular intervals for the Falcons, Croft went in the 16th over when he tried to hook and caught a top edge which Hughes did well to catch. Ashwell Prince did the same and tried to hook and this time, Tom Poynton did well to sprint and take the catch. Mark Turner, (left) who was brought back into the side as a replacement to Mark Footitt who gained his best Championship figures in midweek, also gained his best figures in t20 cricket, he had Kabir Ali caught behind and then Gareth Cross caught at long off by Shivnarine Chanderpaul to grab his fourth wicket. Turner's four wickets had gone for 35 runs. It was left to Tim Groenewald to splatter Mitchell McClenaghan's stumps in the final over. Groenewald, despite dropping the catch, had bowled well to get 3-32. Derbyshire's reply was all about Wes Durston, at the start, he blasted 28 of Derbyshire's total of 29 when Chesney Hughes played on to a length ball from Tom Smith. Hughes looked woefully out of form and struggled to hit the ball off the square. The required rate set by Lancashire was 8 an over and Derbyshire were up with that after five overs and even ahead of the Lightning at the same stage. Durston was giving Derbyshire a very good start and he proceeded to hit Smith for 15 off the sixth over including two fours and a six. It wasn't long before Durston's cameo was over when after surviving a very dubious leg before appeal not given by umpire Michael Gough, he was out the very next ball which looked less likely than the ball before. Although it wasn't long before Durston was back out in the middle, when Chanderpaul appeared to tweak a hamstring and Durston was called out as a runner. It didn't stop the West Indian play some inventive shots on one leg, but it was only a matter of time, before he was out. His shot to mid-on was picked up by Mclenaghan, his direct throw ran out Chanderpaul's runner Durston. Chanderpaul had hit 39 from 31 balls. Albie Morkel was sent in but didn't last long and was caught out on the long off boundary by compatriot Ashwell Prince for just 3. With five overs to go, Derbyshire required 54 runs to win and that target was reduced by Wayne Madsen and Dan Redfern to 35 from 18 balls. Wayne Madsen was caught by Gareth Cross and Derbyshire seemed to lose momentum when they sent in Tom Poynton. The Falcons required 21 from the final over, and Redfern was clean bowled from the first ball. Jon Clare, on his home ground, couldn't perform the miracles that he performed at Headingley at the start of the t20 campaign, and Derbyshire managed only 8 from the final over. Derbyshire Head Coach Karl Krikken (left) was not too downbeat with his sides performance, "We gave them perhaps 15 or 20 runs too many, and we had a couple of expensive overs in the middle. "However, we still had a chance prior to Wayne (Madsen) getting out near the 18th over." Krikken didn't know what the early prognosis was about Shivnarine Chanderpaul's hamstring injury, "It's sore, he knows that for certain, but I'll have a word with physio James Pipe about it, but it's unlikely he'll feature next week." Derbyshire entertain Yorkshire at Queen's Park, Chesterfield on Sunday 14th July (2.30pm start) and this match is very close to being a sell out. To view the full Scorecard from www.ecb.co.uk - CLICK HERE.